Skye Patrick's story is a real page-turner. And she isn't done yet. Since being named director in 2016, she has transformed LA County's 87 libraries. "We have 3.5 million people that we serve," Patrick says. "It's a big task, a huge task." But she's never backed down from a challenge. Skye grew up in an unstable environment that forced her into Michigan's foster care system at a young age. Every week, she would walk more than three miles with her sister to the local library. "I can definitely tell you that books really created this world for me," she says. Spending entire days reading, Patrick discovered a prospect for college and a career. She vowed to use her setbacks as stepping stones to create libraries rich in reading -- stacked high with second chances. "We have the ability to change people's lives," Patrick says. 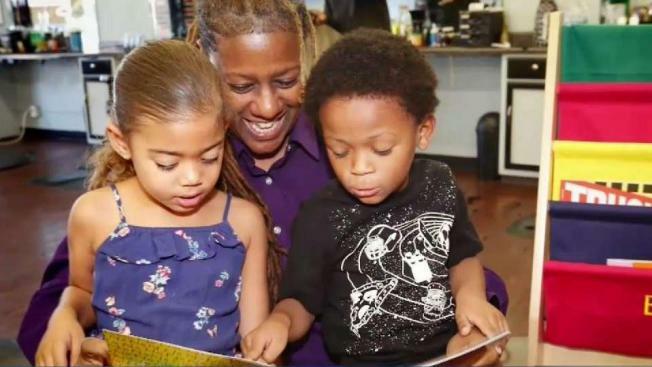 Under her watch, libraries across the county were customized for the neighborhoods they serve: one library in Willowbrook focuses on the needs of working families; another in Claremont is crafted for college students; an author speaker series is available for visitors at the Malibu library; East LA focuses on language and immigration readings; etc. Educational programs she created prove to visitors that libraries can be as boundless with opportunity as they are bountiful with books. This includes "digi-camps" for middle schoolers in Compton, where they learn coding, robotics and how to become Microsoft certified. Patrick also introduced "barbershop book" programs that provide books for children waiting in line for a haircut. For the music minded, she also created a DJ training camp that teaches kids the basics of mixing, marketing and business management in the music industry over nine weeks. "I know a lot of these folks take our offerings and move on to the next level," she says. "And when you can lift one...we can lift each other." With all of these programs and accomplishments, Patrick and her team continue to recreate, reshape and rewrite the playbook - one library at a time. "Life is evolving," she says. "The story is always being written."